Works on most types of tapes up to 3 1/8 inch wide. Unique cradle design allows for large roll diameter of up to 11 3/4 inch. 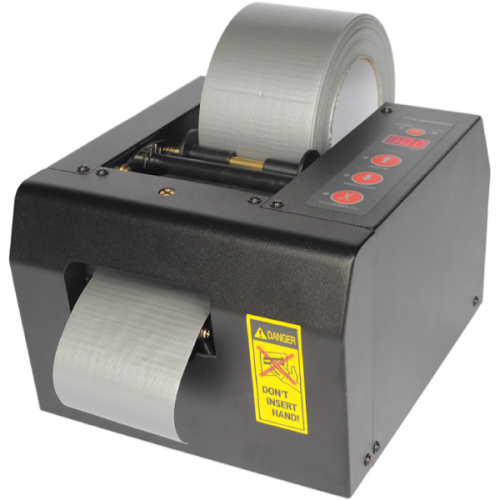 Able to feed and cut virtually any type of tape from 2 1/4 inch to 3 1/8 inch wide and up to 39.3 inch in length, the Tach-It Model #6175 Definite Length Tape Dispenser has a small compact bench top design, easy to set push button length adjustment, and LED for tape length indication. 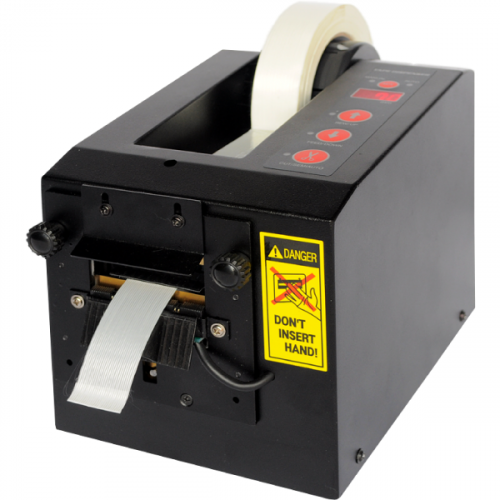 With a heavy duty steel construction, the Model #6175 offers an automatic clean guillotine cut, has a unique cradle-style tape roll holding system allowing it to work with any size tape core, and is easy to load and use without any operator training or tools. 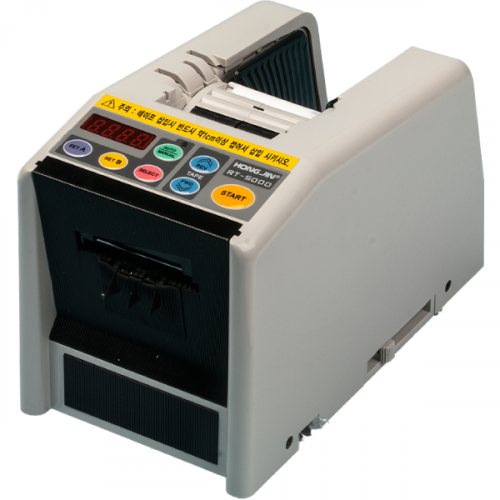 The Model #6175 utilizes our exclusive tri-mode automatic setting feature which allows the operator to dispense a random length of tape, dispense a pre-determined length of tape at the push of a button, or dispenses a pre-determined length of tape as the previous cut piece of tape is removed from the machine.